Fear of cancer's return may be driving women with an early diagnosis of breast cancer to have one or both breasts removed, though research shows milder treatment is just as effective. Yet an increasing number of women are opting for the most aggressive option — mastectomy followed by breast reconstruction. And in some cases, women are asking that both breasts be removed, even if cancer has been detected in only one. Preliminary results from a large study presented Thursday at the 2015 San Antonio Breast Cancer Symposium indicate that mastectomy with reconstruction is more costly and has more complications after surgery than lumpectomy with whole-breast irradiation, while the rate of cancer recurrence and survival is essentially the same under both regimens. The study looked at data in the insurance claims of 105,211 women over a 10-year period, from 2000 to 2011. The study's lead author, radiation oncologist Dr. Benjamin Smith, says the findings were unexpected. He's at the University of Texas MD Anderson Cancer Center in Houston. 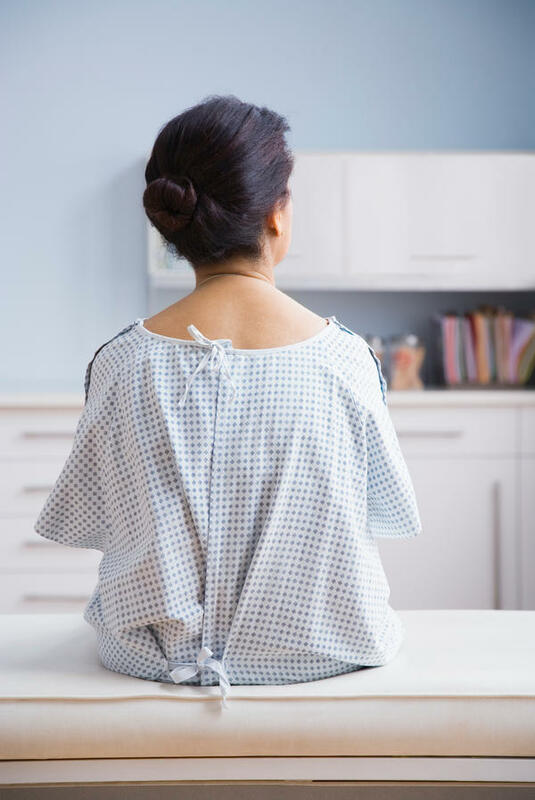 Patients who underwent mastectomy and reconstruction had "nearly twice the risk" of complications in the two years after diagnosis compared with patients who had lumpectomy and radiation. These complications included bleeding, bruising or accumulation of fluid, infection, problems with the skin graft as well as other issues that led to removal of a breast implant. The cost of caring for these complications of mastectomy and reconstruction averaged $10,005. The costs for complications after lumpectomy and whole-breast irradiation averaged far less, at $1,397. In terms of recurrence, patients who had a mastectomy and reconstruction had about the same odds of having cancer return as those who had a lumpectomy and radiation. So why would a woman choose mastectomy with reconstruction over lumpectomy with radiation? Smith says the answer is simple: Patients are really scared. Often when he meets with a newly diagnosed patient, he says, "one of the first things they say is, 'I want them both off.' "
And the trend toward more intensive treatment has been building for years. "There's no doubt that people make these aggressive decisions based on their fear of cancer coming back or taking their life, regardless of the data that doesn't necessarily support that," says breast surgeon Dr. Mary Hooks of Vanderbilt University Medical Center. Hooks led a 2014 study showing that the rates of mastectomy increased 34 percent in the United States between 1998 and 2011. That study appeared in JAMA Surgery. The increase was highest, Hooks says, among women with the "lowest burden of disease" who had relatively small-sized cancer that had not spread. Hooks says the rate for women who had cancer in one breast but went on to have both breasts removed has increased almost sixfold since 1998. Nonetheless, for some patients, she says, extremely aggressive treatment, even if not warranted, may be the right choice for them. Cancer has "a unique psychological component, and people are very fearful; it's very traumatic and upsetting to go through this process," Hooks says. For some patients, the benefits of relief may simply outweigh the potential complications of mastectomy with reconstruction. We're also tracking yet another change in our understanding of what to do about breast cancer. Women have been told over the years to get mammograms and now are told to get them less often. Now research raises questions about getting a mastectomy for breast cancer in its earliest stages. The downsides may outweigh the benefits. That's according to a study presented at this year's Breast Cancer Symposium in San Antonio. NPR's Patti Neighmond reports. PATTI NEIGHMOND, BYLINE: What a woman receives a diagnosis of early-stage breast cancer - that is, cancer which is relatively small and has not yet spread - she has a number of options for treatment. Radiation oncologist Benjamin Smith says all of them are essentially equal in terms of killing cancer cells and preventing the disease from returning. Smith's also a cancer researcher at the M.D. Anderson Cancer Center in Houston. He wanted to investigate how women fared after different treatments - in particular, two of them. BENJAMIN SMITH: We were most interested in looking at lumpectomy plus whole breast radiation, which is the most common treatment, and then mastectomy and reconstruction, which is the treatment which is increasing most quickly in the United States in its utilization. NEIGHMOND: Smith included more than 100,000 women over a decade beginning in 2000 and ending in 2011. His findings, he says, were surprising. SMITH: Patients who had mastectomy and reconstruction had nearly twice the risk of any complication over the two years after diagnosis compared to patients who had lumpectomy plus whole breast irradiation. NEIGHMOND: Complications like infections, problems with the skin graft and other things that could lead to removal of the implant. And over two years, the cost of caring for these complications was about $10,000. So bottom line, Smith says women are enduring - and the health care system is paying for - complications that could have been avoided. SMITH: These treatments are essentially equivalent with regard to recurrence and survival. NEIGHMOND: In other words, patients who have a mastectomy and reconstruction have about the same odds of having cancer return as those who have lumpectomy and radiation. So why would a woman choose mastectomy over lumpectomy? Smith says patients are scared. SMITH: And one of the first things they say is, I want them both off. NEIGHMOND: And in fact, despite the evidence that treatments are equal, more women with early-stage noninvasive breast cancer are choosing mastectomy. Breast surgeon Mary Hooks with Vanderbilt University Medical Center published a study which found the number of mastectomies increased by 34% over the past decade. MARY HOOKS: The unique thing about our study is that the rate of change was highest in the women with the lowest burden of disease. NEIGHMOND: Hooks found that the rate of having both breasts removed, even if only one shows evidence of cancer, increased almost six times since 1998. HOOKS: There's no doubt that people make these aggressive decisions based on their fear of their cancer coming back or their cancer taking their life, regardless of the data that doesn't necessarily support that. NEIGHMOND: But Hook says that for some patients, extremely aggressive treatment - even if not warranted - may be the right choice for them. HOOKS: Cancer has its unique psychological components to it, and people are very fearful of it. And it's very, very traumatic and upsetting to go through this process. NEIGHMOND: So for these patients, the benefits of relief - real or perceived - may simply outweigh the potential complications of mastectomy with reconstruction. Patti Neighmond, NPR News. Transcript provided by NPR, Copyright NPR.